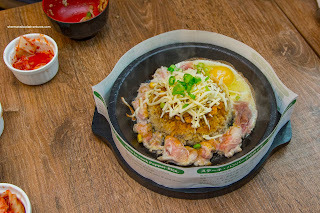 As much as some have thought that Pepper Lunch can be a bit gimmicky, I personally love the sizzling hot plate of food that I can play around with. Hey, when you are expected to play with your food, how can it be a bad thing? Unless it involves playing with a "pet" duck that ended up as dinner (that forever scarred me... thanks dad...). I digress... So when Pepper lunch invited me to check out their newly opened location on Cambie at 7th, I was elated, not only because I like their food, it also meant I didn't have to battle #3 Road in Richmond! For the tasting, Emily, Tina and Jacqueline joined me in a feast that would involve not only 4 dishes, not even 10 dishes, but 13 dishes shared amongst us! These girls can eat! 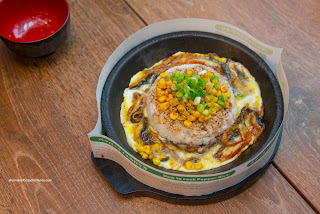 So we started off strong with the Unagi Pepper Rice served aggressively sizzling on a hot cast iron plate. As much as it seemed like the eel was overcooking, it stayed buttery soft due to the ingenious layer of scrambled egg underneath. When mixed with the chewy rice, it created a concoction that was addictive. At first, we were worried that the fish would overcook in the Salmon Pepper Rice but in reality, it didn't matter. The quality of the salmon meant that even though it was cooked all-the-way through, it was still not overly dry. It also helped that it tasted fresh and sweet too. On that note, the rice did need the sweet soy enhancement to bring it alive. 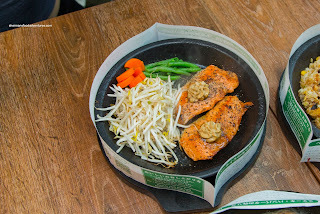 We continued with even more fish with Double Salmon Steak. Sporting 2 pieces topped with garlic butter, the salmon was even better here since they were thick fillets. Furthermore, we prevented it from overcooking by placing them on the sprouts after a certain amount of time. 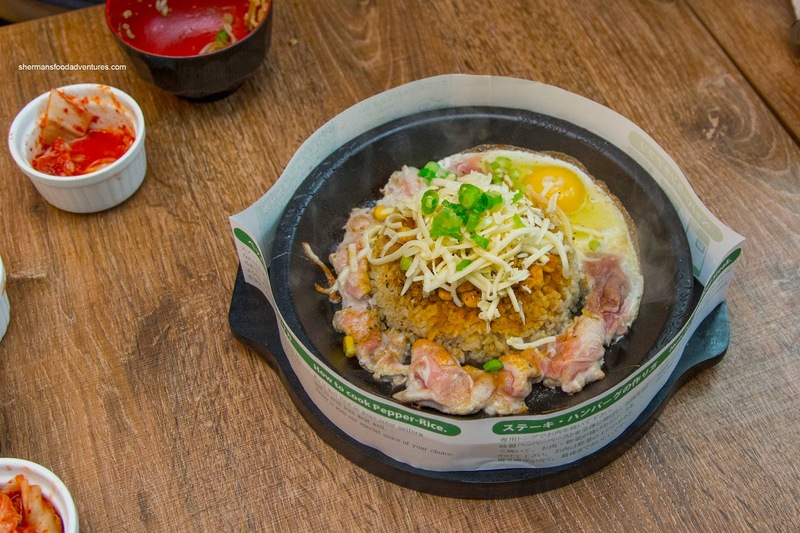 This dish exemplified the concept of Pepper Lunch by allowing the customer to regulate the doneness of their protein. 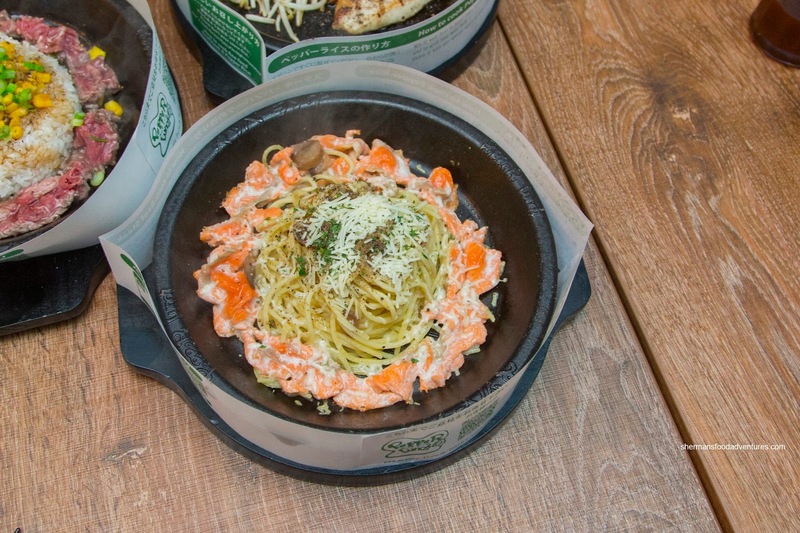 A somewhat surprising dish was the Prawn Pepper Pasta. It arrived sizzling on the iron plate where the garlic cream sauce was poured onto it creating a sizzling show. We quickly tossed it up and wow, the garlickiness really came through. The pasta was al dente while the cream sauce was rich and definitely sinful. As for the shrimp, they were cooked just right being meaty with an appealing snap (while a touch salty though). We then moved onto the Wagyu Beef Pepper Rice that projected an intoxicating smell from the sizzling fat. As such, the rice was also flavourful from the fattiness of the meat that had been completely caramelized by the hot plate. Again, the rice was nicely chewy and stayed as such despite the wet ingredients. I found the dish to be natural tasting with lots of beef fat. I used the salty soy sauce to enhance the mild flavours. 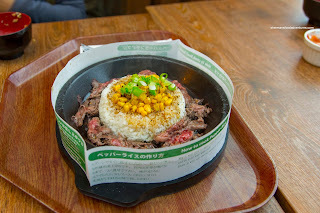 Another surprising dish was the Curry Pork Pepper Rice. At first, we were expecting the typical sweet and mild curry associated with Japanese cuisine. Wrong. The curry was actually quite impactful where it was further activated by the hot iron plate. 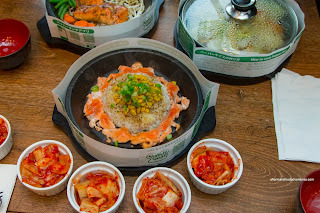 Combined with the tender slices of pork and kimchi (yes kimchi), the dish was full of flavour and spice. Onto some steaks, we tried the bacon-wrapped Filet Mignon served with mash potatoes and veggies. The first thing we noticed was the quality of the steak, it was excellent. 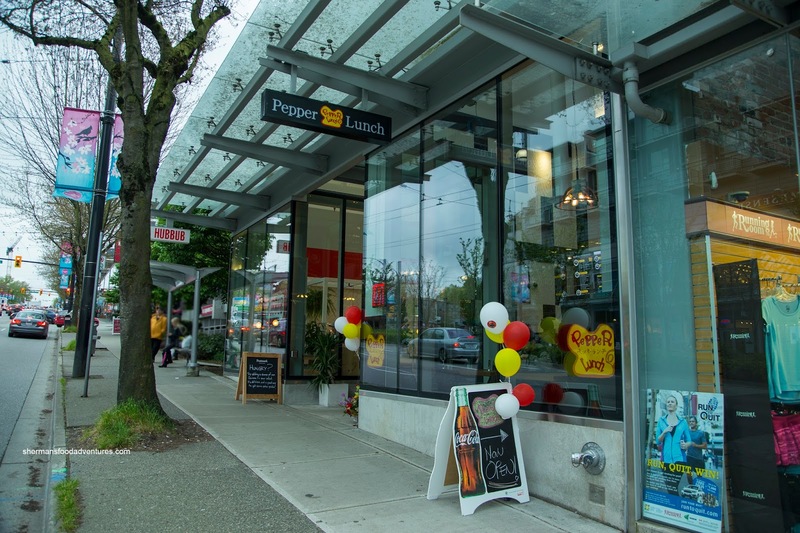 Emily remarked that it could rival and in fact be superior to many other "steak" joints. The tenderloin here was buttery soft and didn't even need a knife to cut it. It was pretty bland though as tenderloin often can be, so we had to enhance it with the side sauce. Next, we tried the Kobe-Style Burger, also served with the same accompaniments and a fried egg. I liked how it was charred enough creating a smoky crust. The meat was indeed tender and fatty, but somehow, the flavours were quite muted. Again, we had to resort to the side sauce. Since we wanted to cover all the meat groups, we got the Chicken Steak as well. 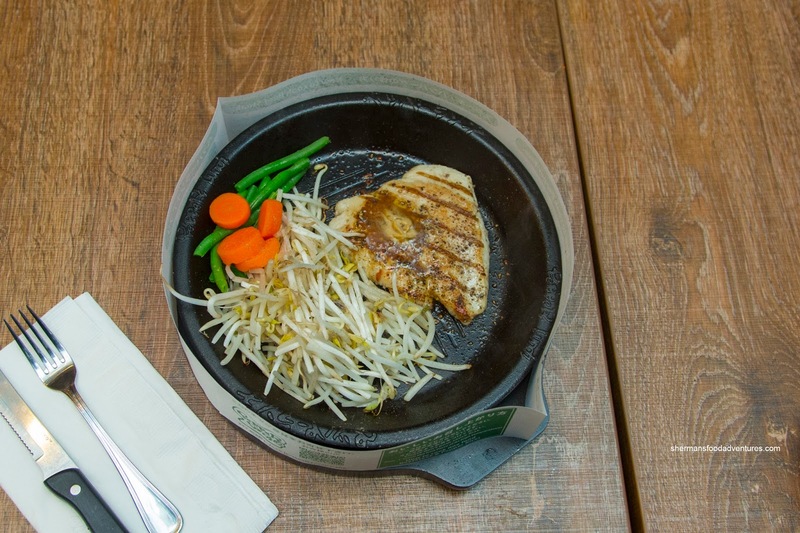 Normally, chicken breast on a hot cast iron plate would mean a rubbery mess. However, once again, the meat quality trumped any notion of that. Okay, it wasn't super juicy, yet at the same time, it was still tender, well-seared and not dry at all. 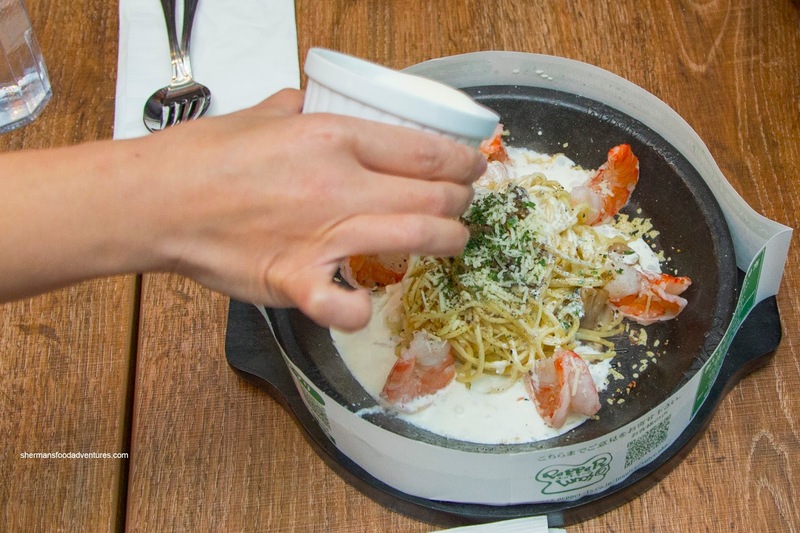 For some reason or another, we decided to try the Salmon Pepper Pasta with the same garlic cream sauce. Nothing particularly wrong with the pasta nor the salmon, but since we didn't have the sauce right away, it just didn't have time to meld with the dish like the previous one. 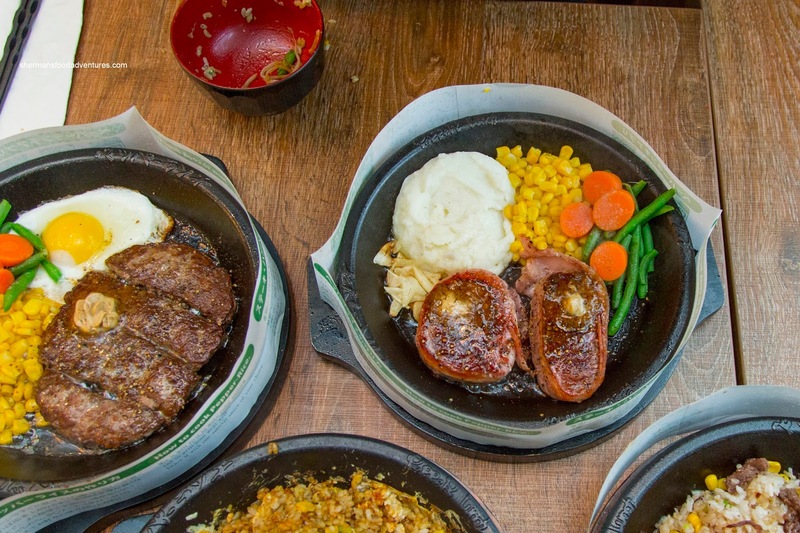 To get even more protein into our meal, we had the 8 oz. Ribeye Steak and 8 oz. 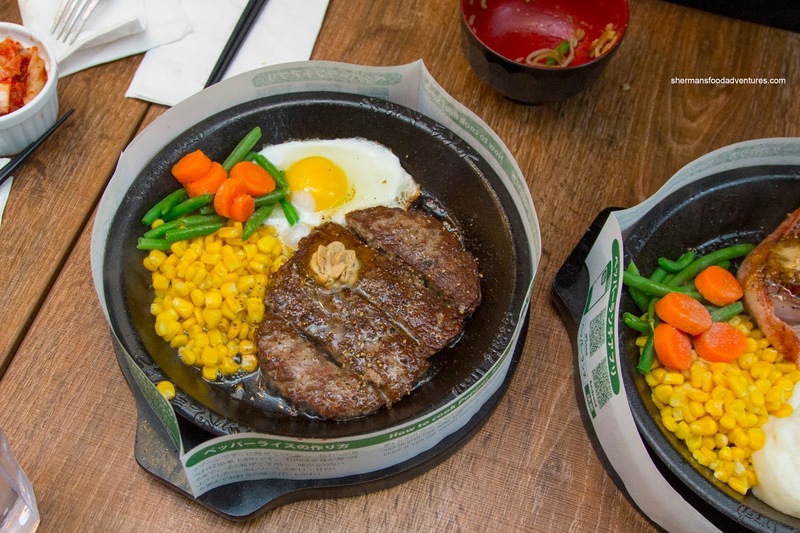 New York Steak. As you can see with the striploin, it was completely raw on the top side. Even after excessive picture-taking, and a delay with flipping it to cooked on the cast iron plate, it still managed to become medium-rare. That's how hot the plate was. Again, the quality of the meat spoke for itself. Both were tender while still exhibiting an appealing meatiness that was full flavoured. With that being said, other than the pepper and garlic butter, we needed to add a touch of soy just to bring out the flavours a bit more. 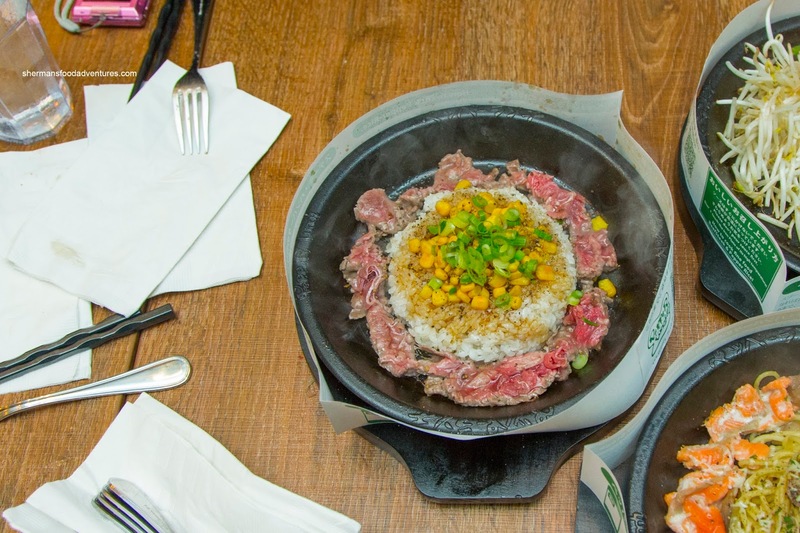 To compare with the Wagyu, we got the regular Beef Pepper Rice as well. Looking very similar but tasting quite different, this version was still good (especially for $9.00). 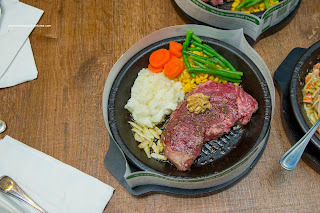 The beef was still really tender, it was just less fatty and hence was not as flavourful. That didn't matter as we just let it sear to create more flavour and added some sweet soy. 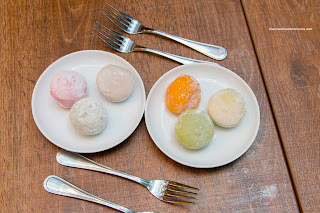 Closing out this session of gluttony, we shared some Mochi Ice Cream that included strawberry, red bean, black sesame, mango, green tea and vanilla. Pretty good, but it would've been better if they were more frozen. Before I wrote this post, I had visited Teppan Kitchen and Iron Kitchen (now Bubble Waffle Cafe) in the meantime. 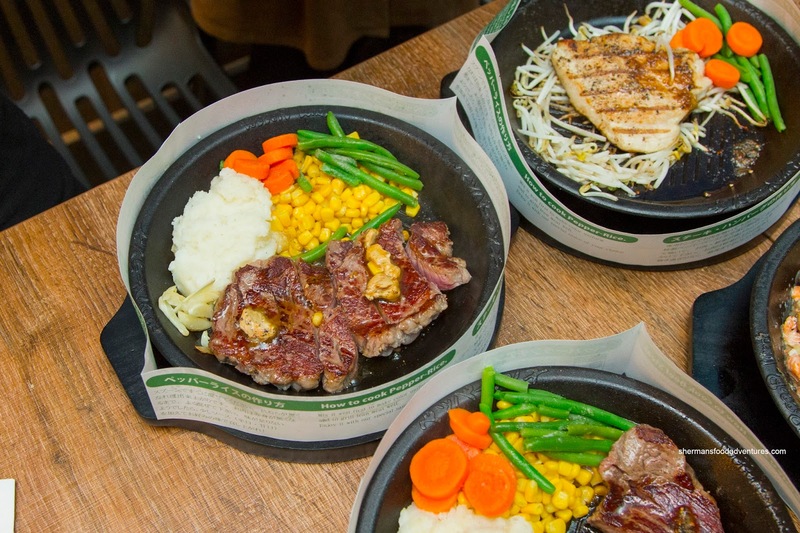 I can honestly say that Pepper Lunch blows both out-of-the-water in terms of quality, execution and flavour. Definitely worth a visit.